When it comes to giant robots, it's tough to get bigger than the Warlord Titans from 40k. 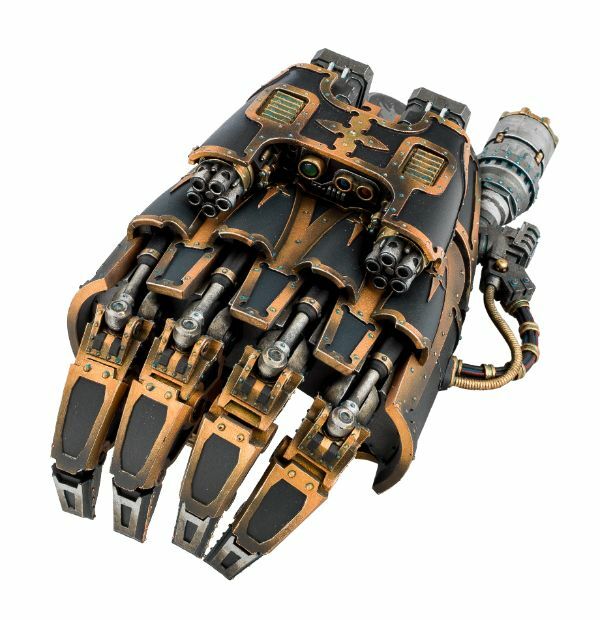 Being Games Workshop, there's plenty of options in how you outfit your titans. But there's not always an actual piece to use for that. 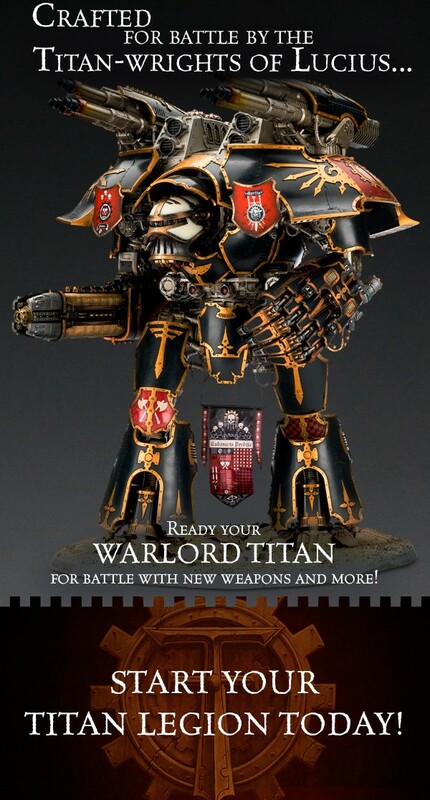 Well, Forge World is helping out with a new Titan head, as well as two weapons. 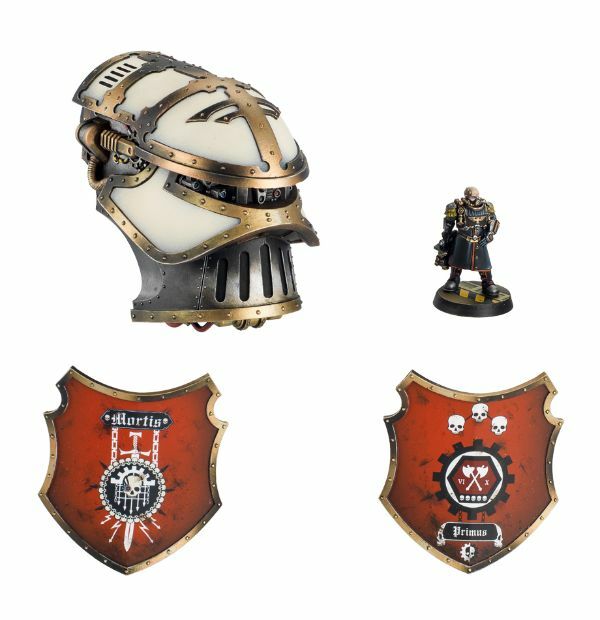 For the head, it's the Lucius-Alpha pattern Warlord Titan Head. 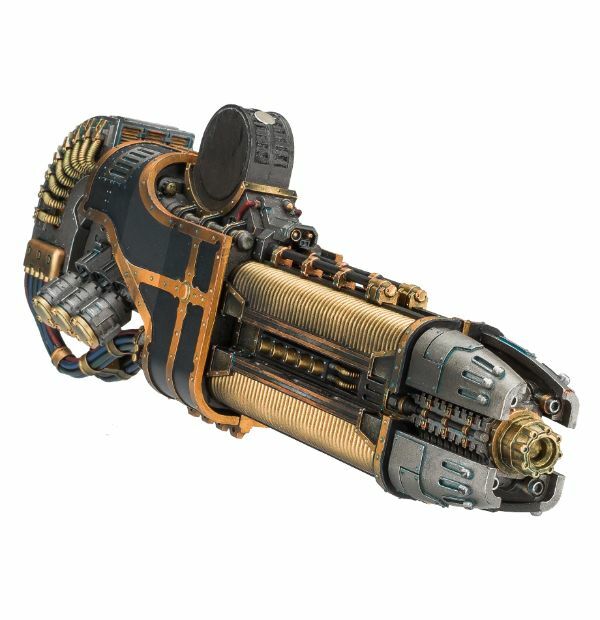 In terms of weaponry (the real reason all of us clicked to see more, I'm sure), you have the Arioch Power Claw and the Sunfury Pattern Plasma Annihilator. I hear the former also makes a good back-scratcher attachment.